Pulse oximetre, a wellness product, is an electronic equipment used for monitoring of the saturation of a patient's hemoglobin. A sensor is placed on a thin part of the patient's body, usually a fingertip or earlobe, or in the case of an infant, across a foot. Light of two wavelengths is passed through the patient to a photodetector. The changing absorbance at each of the wavelengths is measured, allowing determination of the absorbances due to the pulsing arterial blood alone, excluding venous blood, skin, bone, muscle, fat, and (in most cases) nail polish. 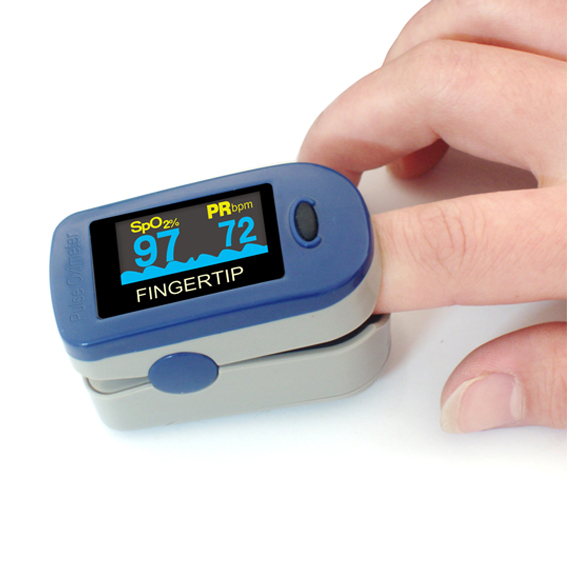 There are many companies that produces and sells pulse oximeters.